One of the most beautiful gifts God gives us is our imagination. It is such a blessing when used right. Most of us have got into trouble when we have used it wrong. Our imagination is such a valuable gift when we are being transformed from our old man/lady to the new creation we are to be in Christ. If we use it correctly it will help us move from who we were to who we now are in Christ. The Word of God along side the Holy Spirit, is always revealing truth to us as we spend time in studying the Word and in prayer. It is with revelation of truth that we are able to move forward in our imagination to the new man/woman. Without the Word of truth keeping us on track and the Holy Spirit guiding us, our imagination is simply used for a selfish, self-serving life. However with both, our imagination is the thing that will allow our thoughts to be transformed into new thoughts along with new vision! The vision we get of our true identity is than able to be lived out with the power of God. The Word of God is very clear on the importance of what we allow into our minds. Our thoughts determine how we behave. It is so crucial that our thoughts be on things that are pleasing to God and not distractions and sinful ideas and patterns. With those thoughts we are able to activate our imagination to see things as God sees them and act accordingly. Our imagination is where our vision is seen before it is lived out. Therefore it is so vital to have it surrendered to Christ. If you struggle with a terrible self image, self defeating talk and a life that is held back by fear and insecurity, ask God to help you take your thoughts captive and to help you replace the lies of defeat and destruction with truth from His Word. Ask for the true vision of who you are in Christ Jesus. Begin to read your Bible daily and allow your imagination to see your TRUE identity and than begin to live that identity through the power of the Holy Spirit. Without seeing who you are in Christ you will not be able to move forward in all God has planned for you. You will be constantly hindered by negative self talk and the voice of the enemy of your soul. Proverbs 29:18 Where there is no revelation, the people cast off restraint; But happy is he who keeps the law. There is no reason to continue living a life full of Spiritual self sabotage. God has provided, through Jesus Christ and the power of the Holy Spirit a better way to live. Ask Him to reveal the truth of His Word to you and let the Holy Spirit guide you into your true identity. Your imagination can be filled with the way God has for you to go instead of the self defeating images of your past! Ephesians 4:20-32 But you have not so learned Christ, if indeed you have heard Him and have been taught by Him, as the truth is in Jesus: that you put off, concerning your former conduct, the old man which grows corrupt according to the deceitful lusts, and be renewed in the spirit of your mind, and that you put on the new man which was created according to God, in true righteousness and holiness. Therefore, putting away lying, “Let each one of you speak truth with his neighbor,” for we are members of one another. “Be angry, and do not sin”: do not let the sun go down on your wrath, nor give place to the devil. Let him who stole steal no longer, but rather let him labor, working with his hands what is good, that he may have something to give him who has need. Let no corrupt word proceed out of your mouth, but what is good for necessary edification, that it may impart grace to the hearers. And do not grieve the Holy Spirit of God, by whom you were sealed for the day of redemption. Let all bitterness, wrath, anger, clamor, and evil speaking be put away from you, with all malice. And be kind to one another, tenderhearted, forgiving one another, even as God in Christ forgave you. I am sometimes a very slow learner when it comes to spiritual lessons. Fortunately, God is so patient with me/us! He allows us to try our own methods until we realize they don’t work so great and than allows us to refocus on what is important. In fact, through the nudging of the Holy Spirit, He will show us along the way if we listen. When I find myself getting physically and or emotionally anxious I know that something is off in my relationship with Christ. I have come to realize that that usually follows taking my eyes off the things God has shown me through His Word, His Spirit or other brothers or sisters in Christ and putting them on the natural. The natural is NOT what we are to focus on. It will limit God working in us and through us! Our focus is to be on the revelation of the Word of God, who He is and what He has called us to do. 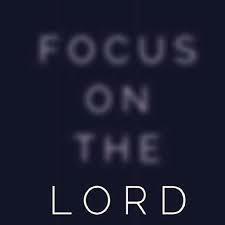 Things that are to be accomplished for the Kingdom of God will never be achieved by focusing on the natural. It is through His supernatural revelation and the working of the Spirit that these things will be done by. Get alone with Him today, confess your sins, lay your messed up emotions at His feet and wait on the REST He promises, no matter what your circumstances are. REST is not dependent upon good times only. He promises peace and rest DESPITE our circumstances! Each one of us lives out our story of faith. Every day we are faced to deal with situations and people that cause us to react. Our reaction tells others a great deal about our character. God has called us, through Christ, to be salt and light in an otherwise dark world. Do our words and actions demonstrate the salt and light of the gospel or do they demonstrate a heart of self pity and complaining? When we are driving down the road and someone cuts us off, our reaction is a direct result of what is inside us. If we have been thinking throughout the day of how difficult life is, how hard we have it or how unhappy we are, our reaction will not be too sweet! What comes to the surface during a crisis or a sudden upset is what we have been telling ourselves right up to that point. What we feed our minds bubbles up out of our mouths! As followers of Christ we too often react with criticism, negativity and self pity because that’s what we have been feeding ourselves in our thought life all day! What goes into our thoughts comes out of our mouth. If we want to react and respond as Christ would, we need to feed our mind and heart on His Word. We need to be in an attitude of praise and thanksgiving, even in the difficult times. Taking up our cross often involves difficulties and trying times. 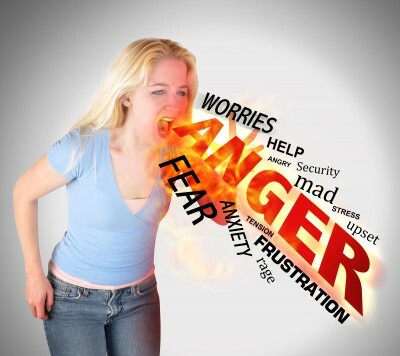 When we find ourselves reacting negatively to people and things we need to readjust our heart! We need to spend time with our Savior and get back into the Word of God. It is necessary. It is essential if we want to live as Christ has called us to live, loving Him and serving others, there’s no other option. I am so thankful that when I screw up and get waylaid in selfishness, I can ask the lover of my soul to forgive me and get me back on track! He longs for our fellowship and is willing to forgive us over and over again. So if you have been complaining, griping or just responding with an ungrateful attitude to your circumstances perhaps it’s time you get on your knees before Him and ask for forgiveness. Ask Him to get you back on track with an attitude of praise and thanksgiving. Ask Him to illuminate the Word of God before you read your Bible and allow it to penetrate into your heart and mind. Allow the Word to conform you into the image of Jesus so that you too can be the salt and light this world of ours so desperately needs! There is only one way, we who are followers of Christ, can possibly have peace when we go through a storm in life. It is by believing in the depths of our being the truth that God is faithful to us and will NEVER allow us to go through more than we can bear. It is knowing with absolute certainty that NOTHING or NO ONE is able to cause us to lose our peace and joy if we put our trust in the ONE who is absolutely trustworthy. The reason we too often lose our peace when the storms come is simply because we have stopped believing that everything that happens to us has been allowed by the ONE who knows us best! He who knew us while we were being formed in our mother’s wombs, knows what can be used in the transformation of our character from selfish, self absorbed individuals to sold out, Spirit lead followers of Christ. The great preacher, Charles H. Spurgeon once wrote, “God gets his best soldiers out of the highlands of affliction.” There is so much truth in this quote. Why does it often take afflictions, trials, storms to grow us up? Perhaps it is because when things are going smoothly we tend to forget the goodness of our God. We tend to fall back into the pattern of thinking somehow we have control over all our circumstances. We forget just how much we need to rely on and depend on the lover of our soul! When difficulties enter our lives it usually doesn’t take us too long before we are back to crying out to God for His help. God wants us to go through life knowing, really knowing and believing that ALL things work together to them who love God and them who are called according to His purpose. When we finally really get it, really believe it, than we are able to trust Him regardless of the battle, regardless of the size of our opponent and regardless of the severity of the difficulty. This is how we are called to live as followers of Christ. Not on a daily emotional roller coaster that is fueled by our emotions and insecurities. We are to live by the truth of His Word which tells us nothing can separate us from Christ or His love for us. NOTHING! If we allow them, afflictions will teach us just how reliable HE really is. If we speak the truth of His word to our situation and believe it in the depths of our being, than we are able to maintain our joy and peace no matter how difficult or severe the trial is. The truth of this has been demonstrated through centuries by all those martyrs who have willingly given their lives rather than deny Christ. They believed the truth of His Word and they lived it! Their lives and even their deaths became a witness for all those around them, that God will give the grace and willingness to endure whatever may come to those who love Him. If our love is conditional based solely on His gifts and blessings to us it is not really love at all. If we truly love Him and believe He is who He says He is and that He loves us enough to not allow us to endure more than we can bear, we will be able to go through ANY circumstance with joy and peace. Our confidence in these truths grow as we spend time with Him daily in prayer and as we spend time reading our Bibles, the Word of God. None of us know when trials will come. If we stay close to our Savior and grow in our faith, knowing and trusting Him completely, when they come we will not be swept away. We will be able to stand and endure with peace and with true joy (not surface happiness) but true joy, knowing whatever He allows to touch us is going to work out for long term good! He will continue to grow Christ like character in us as we go through the very things we wish to avoid the most. Ultimately, Christ is preparing us to one day meet Him face to face and hear the words, “Well done my good and faithful servant.” My prayer is that we will cultivate a deeper, more sincere walk with our Savior and Lord and that we will hide the Word of God in our hearts so that when the storms of life come crashing in, we will NOT be troubled or dismayed. We will confidently rest in knowing even in this, we can joyfully trust Him! He is still in control! For those of us who call Jesus Lord and King, we have so much to be thankful for. For those who don’t yet know Him as Lord and King they have so much to gain by calling on His name. With Him in our life we are able to walk through any situation that life may throw at us. He doesn’t allow His kids to go through more temptation than they are able to bare if they abide in Him through the journey. He may allow a storm in our lives but He will never bail on us during the thick of it. Never! Too often we slip into a pattern of worry or fear with regards to the future. We forget that the lover of our soul never turns a blind eye to His church. Instead, He waits to hear from us. He longs for our fellowship. He is as close as the mention of His very name! When we find ourselves feeling far from Him it is usually the result of setting our eyes on the natural. We forget that our relationship is a relationship of faith, not based on what we see but instead on the truth of the Word of God and the revelation of who Christ is through the Holy Spirit. It is so important that we get ourselves back to the truth of the Word of God and the knowledge of who Christ is and will always be! He is Emmanuel, GOD with us! Don’t forget it! Instead let the truth of that sink into your heart! God loved us enough that He sent His own Son for our redemption. He wanted to restore a relationship with us so much that He allowed His Son to suffer and die on the cross for you and me! That’s an awesome love right there! When you find yourself reducing Christ and enlarging your problems, it’s time to get back to this basic truth. It’s time to heed Apostle Paul’s words taken from Colossians 3:1-3 NIV Since, then, you have been raised with Christ, set your hearts on things above, where Christ is, seated at the right hand of God. 2 Set your minds on things above, not on earthly things. 3 For you died, and your life is now hidden with Christ in God. You will only grow in your intimacy and love for Christ when you set your mind on things above. It is there in the realm of faith that He will begin to move the mountains in your life as your lean into Him and trust Him to do so! Keeping your eyes on your problems will keep you bound by them! Keeping your eyes on Christ will allow Him to move mightily! James 1:8 KJV tells us 8 A double minded man is unstable in all his ways. We can’t keep our eyes focused on our problems and trust God for the answers at the same time. We must exercise our faith and turn them over to Him and trust Him to work everything out for our good! He promised to do just that! Romans 8:28 NIV 28 And we know that in all things God works for the good of those who love him, who have been called according to his purpose. If you are struggling through a situation right now, take your eyes of your current situation and remember you have been raised with Christ through your redemption. Set your heart and mind on things above. Remember that Christ is seated at the right hand of God and is ever making intercession for you, His church! There is nothing too big or difficult for Him to handle. Release the fear and stress of your situation into the hands of the ONE who loved and loves you more than His life itself! Trust Him, He is worthy! When you find yourself in a hard place caused by someone else do you find yourself asking, “God when are you going to answer? When are you going to put a stop to all of this?” Well I have it on good authority that God hears your petition! He is not a god of stone or wood, He is the ONE true living God! Jesus gave us some pretty wonderful encouragement with just this matter in the book of Luke. So not only will God hear us and answer but He will also handle our adversaries. We don’t need to. He will do so in His way, in His wisdom on our behalf. We have no excuse to allow hatred or bitterness against our adversary in. We can count on the fact that if we, His elect, cry out to God and do not lose heart, He will answer and take care of our adversaries too. Jesus isn’t talking about an adversary here of our own making. For example, if we have mistreated or sinned against someone and we are receiving the fall out of that, we shouldn’t be surprised. God will allow us to reap what we sow from time to time. 1 Peter 3:15,16 NKJV 15 But let none of you suffer as a murderer, a thief, an evildoer, or as a busybody in other people’s matters. 16 Yet if anyone suffers as a Christian, let him not be ashamed, but let him glorify God in this matter. He is referring to unjust treatment through no fault of our own. This may be as a result of our Christian stand on issues, our faith itself or for any number of other reasons. Just to be clear we are not to willingly hurt others and call on God to avenge them on our behalf! 😉 However if we find ourselves being unjustly targeted or persecuted we are to cry out to God for help and know that He will answer! He may choose to allow us to endure for a season but we can be sure He will be with us as we do. As we cry out to Him, He will equip us to endure whatever He allows and He will take care of our adversary. Throughout the world we have brothers and sisters in Christ suffering for their faith. They are not forgotten by God. Their prayers are being heard. Though they may be called to endure persecution for a season or even give their life for Christ, He will be with them every step of the way. He will equip them for the task. God will not allow them to endure more than they are able to endure. 1 Corinthians 10:13 NKJV assures us of this.13 No temptation (including the temptation to recant our faith) has overtaken you except such as is common to man; but God is faithful, who will not allow you to be tempted beyond what you are able, but with the temptation will also make the way of escape, that you may be able to bear it. Perhaps one day, we too will be called to do the same. Jesus is telling us in Luke 18 that regardless of the unfairness of a situation God permits us to go through, regardless of who our adversary is, we are not to lose heart! We are to continue in prayer! Just because our situation may not be pleasant, it does not mean God does not hear our cries! In fact, we can be certain He does! He is JUST and we can be assured He hears our cries! 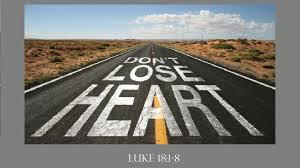 So whatever situation you may find yourself facing right now, DO NOT lose heart! DO NOT give up crying out to Him. He hears and will answer! He will not allow you to go through one iota more than you can bear. Of that you can be sure! Jesus said so.